يشكل فندق Coconut Grove Holiday Apartments بموقعه الممتاز في منطقة الأعمال ضمن مدينة داروين، مكاناً ملائماً لقضاء العطلة بعيداً عن عجقة أيام العمل. يسهل الوصول إلى هذا الفندق ذو 3.5 نجوم من المطار، فهو يبعد عنه مسافة 6.00 Km فقط. يضفي محيط الفندق اللطيف وقربه من Fun Supply, The Nightcliff Market, Rapid Creek Market سحراً خاصاً على هذا الفندق. استمتع بالخدمات الراقية والضيافة التي لا مثيل لها بهذا الفندق في داروين. لضمان راحة ضيوفه، يقدم الفندق الخدمات التالية: واي فاي مجاني في جميع الغرف, مرافق مخصصة لذوي الاحتياجات الخاصة, تسجيل وصول/خروج سريع, تخزين الأمتعة, واي فاي في المناطق العامة . تتضمن كل غرف النزلاء وسائل الراحة والتسلية المصممة خصيصاً لضمان الراحة القصوى للضيوف. يقدم الفندق مجموعة واسعة من وسائل الراحة المتنوعة، كمثل: حمام سباحة خارجي, حديقة. إن Coconut Grove Holiday Apartments هو مكان مثالي للمسافرين الذين يتطلعون إلى الراحة والاستجمام في داروين. Amazing and comfortable stay in Coconut Grove Holiday Apartments. 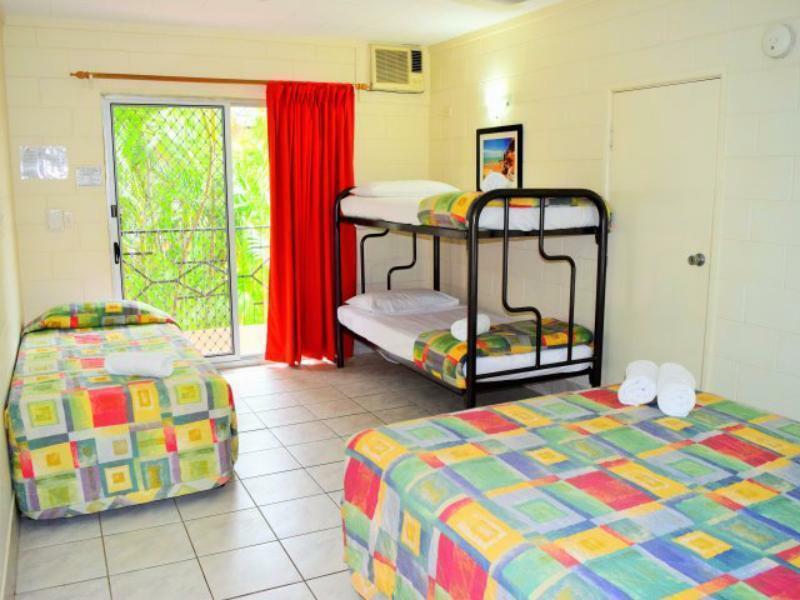 Its better apart hotel In Darwin. very comfortable rooms, some have kitchenette. With good internet, all kitchen stuff, parking place with option - free car wash, laundry and dry room. Close to airport, 10 minutes by car. Coles an Woolforth is 10 minutes drive. We stay here 3 nights, two times and will stay here next our business in Darwin. the manager upgraded our apartment to the best and saved our mail, thank you! Highly recommend. As we live out of town a nice quiet, clean, and cheap hotel is a godsend. The rooms though old were immaculately clean. Free of insects, and well appointed. Though we arrived out of hours the keys and instructions were easily found.. The hotel is in a great area, close to shops and the guest map and welcome notes were great. The guest book with local hot spots and tourist attractions showed all that you need to know. Thank you coconut grove holiday apartments. The rooms are a little tired but they are clean and the bed is very comfortable. The staff are always welcoming and friendly. The establishment is handy for those needing close access to the airport and a major shopping centre. Overall, good value for money. We're locals who were having our house painted so we cleared out, left the painters to it and stayed at the local motel. We've stayed there before (bathroom reno) and had visitors to stay there. It's simple but nice, cool, and has a well-equipped kitchen and a nice bathroom. Beds were comfy too. Oh and there's a pool, and I love the tropical gardens. I got a super early check-in & late check-out as the owner Jason and the staff Nakita & Edith were very considerate and kind to me. I arrived at 5am at the airport, Nakita told me in the emial that I could go to the reception at 8am and see if they have a room for me to check-in earlier, I got luck! The room was very clean and quiet, and the neighborhood and surrounding were very peaceful. More than that, there is Darwin Yoga Space just 10 mins walk, I had one morning class with the owner, Carlo, a feeling of harmonic and calm energy there. And my flight was at 8:35pm, then Edith came up to my room and told me that I could stay until 1:30pm, I felt so touched by their hospitality, and i'll definitely come back to stay here again. We checked in to Coconut Grove on the last day of our holiday in the Northern Territory. We visited Darwin's waterfront and Mindil beach and did not have time to enjoy the pool of Coconut Grove. 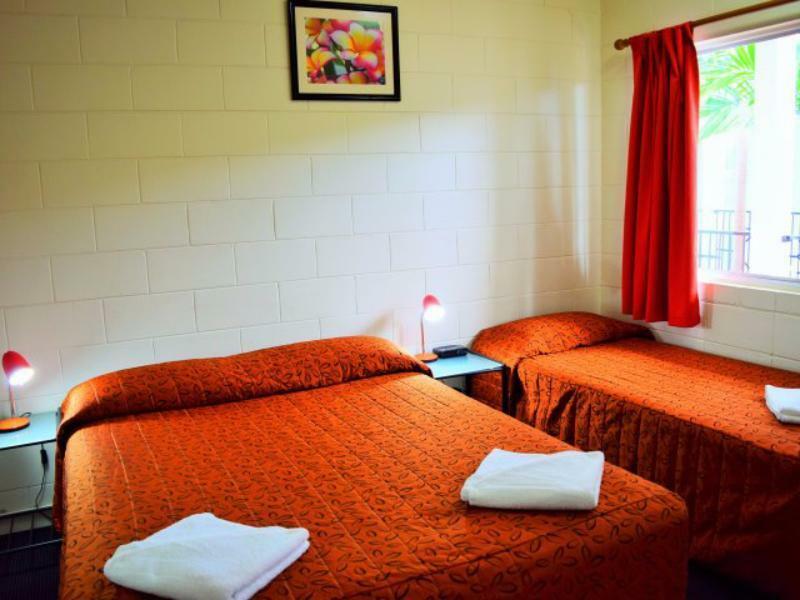 We found the spacious and clean rooms very pleasant and highly recommendable, also for the proximity to the airport. The staff was very helpful to arrange a taxi in the early hours to the airport. Thanks! my stay was very pleasant. the free wifi was fast, a bus service into town with the bus stop a few steps down the road, also a supermarket a short walk away from coconut grove. all in all i had a very pleasant stay and the manager was very informative. 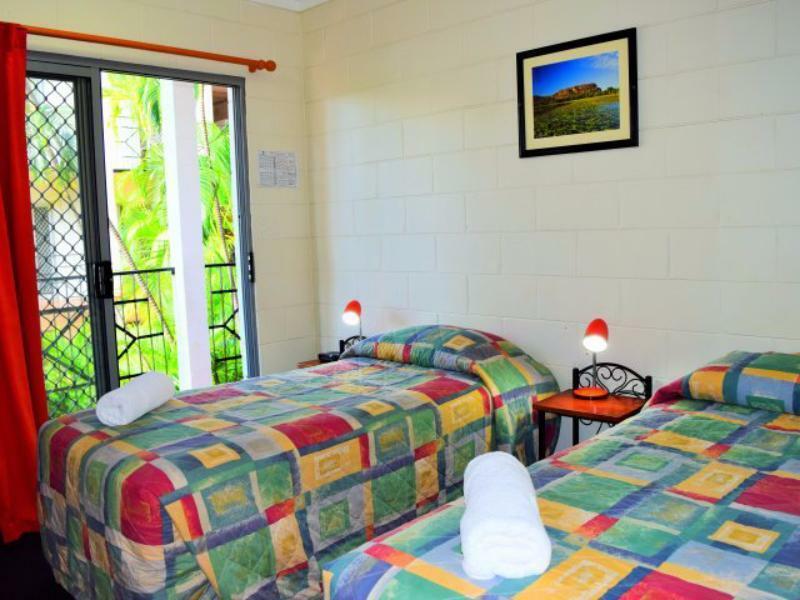 Basic accommodation but super clean, close to the airport, comfy beds and cheap. Great for a stopover before/after a flight. 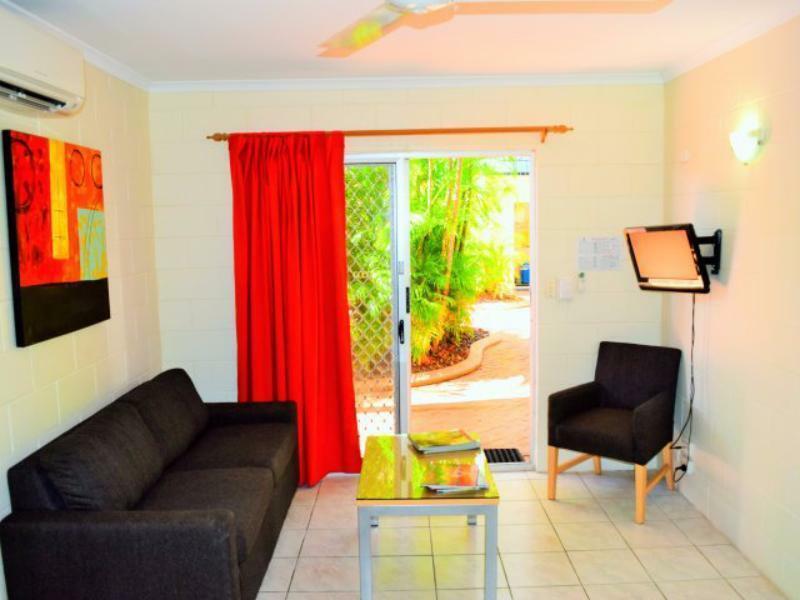 Near the airport, only a few minutes drive away makes it a good location for FIFO-stay. Superb staff, very helpful and nice. Good kitchen supplies. Spacious room and great info. 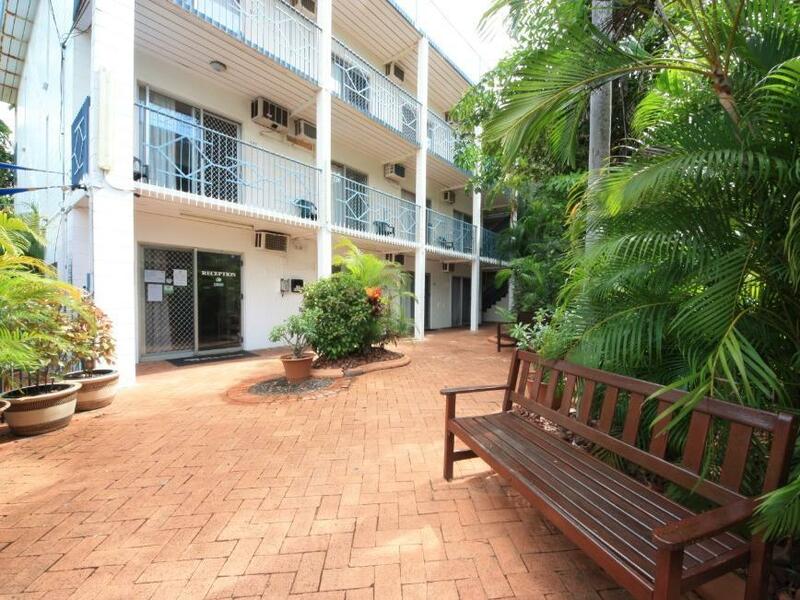 A big shopping centre (Nightcliff) just minutes away by walking. Can't help though that it has a slight feel of bad neighbourhood and we didn't felt safe with reception closed and no patrolling security on the premises. Rooms a bit worned down but clean. Shower and toilet so so. Ok for a fly in-fly out if you don't want to go all the way into Darwin. Thank you to all at Coconut Grove. As we left very early on Sunday morning we did not have the opportunity to thank you personally. We thoroughly enjoyed our stay at the facility. Clean spacious and accessible. However, one would need to be mindful of having transport...which we did. Thank you. We were very happy with the location of our apartment, close to reception and pool, at ground level - which was requested at booking time as we had our baby with us for this stay. Staff were very friendly and helpful. Close to a shopping centre, and other facilities. Very close to airport but did not hear any planes flying over when in our rooms. Newly renovated bathroom, although the sliding door to bathroom was a bit of a problem moving off the tracks easily. Bed comfortable, good size kitchenette. No trouble for management getting a cot set up for our baby both times we stayed, minimal charge for this. pool had a spa, very clean and welcoming, swimming towels readily provided which was a bonus. Plenty of parking spaces, also public transport nearby. Lots of tropical plants in the surrounds for shade. 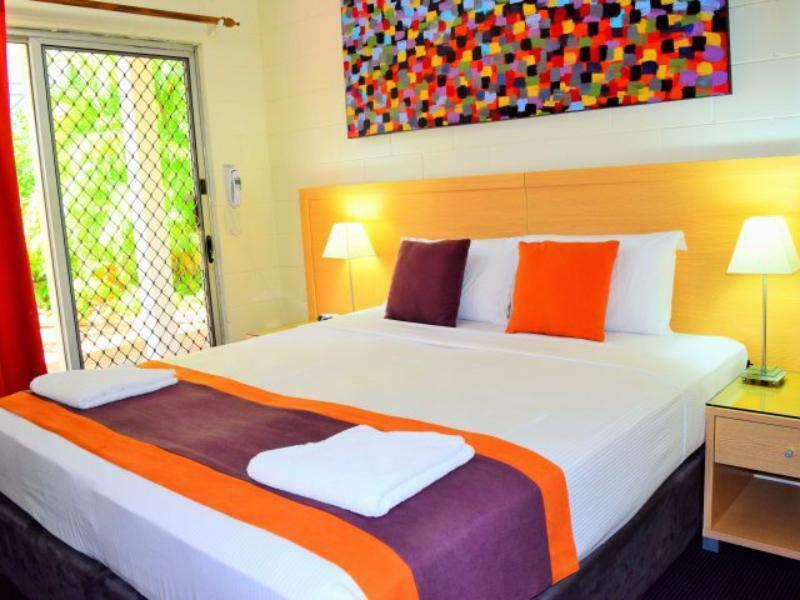 Overall very good value, we loved our stay there and will stay again next time we visit Darwin. 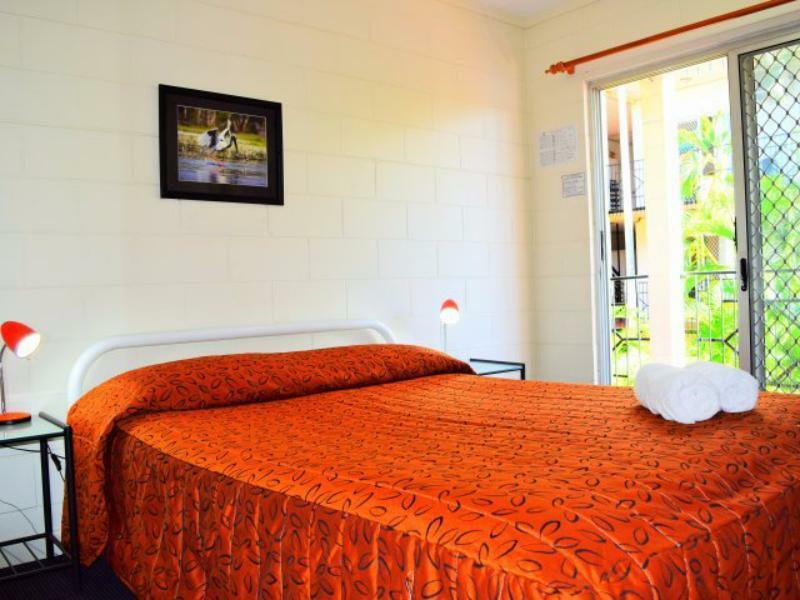 Relatively cheap for Darwin and close enough to the airport with keys available to collect even after the office is closed, perfect for arrival at the airport on the red eye with instructions sent to you when you book. The staff are very helpful and send out a positive vibe. I have been here once before this last trip and would definitely come back.